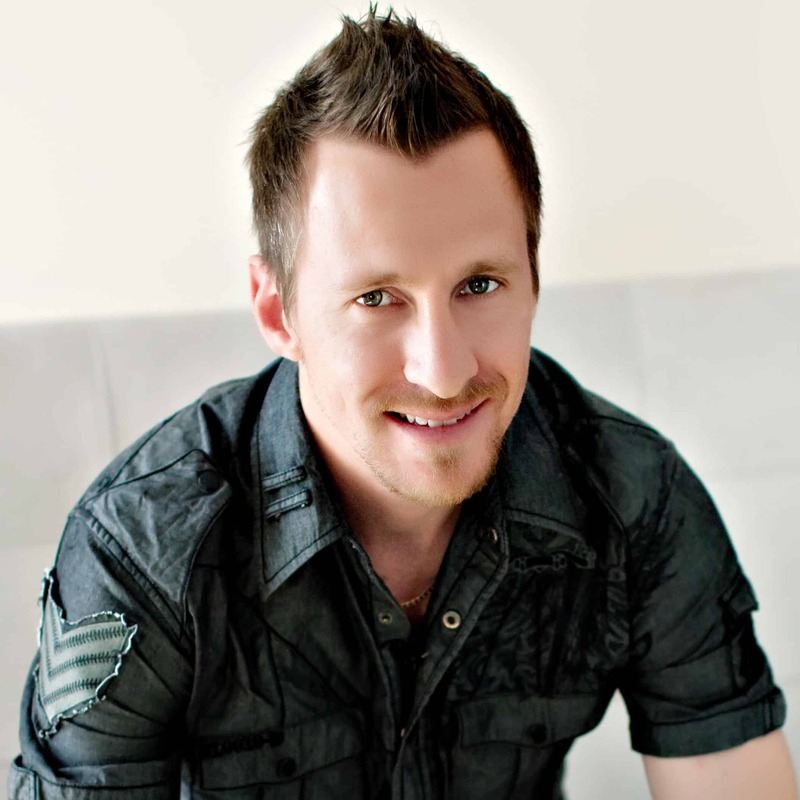 Interview with Jayce McGuirk, Creator of Random Hats of Kindness - Kidpreneurs - Young Entrepreneurs with Big Ideas! 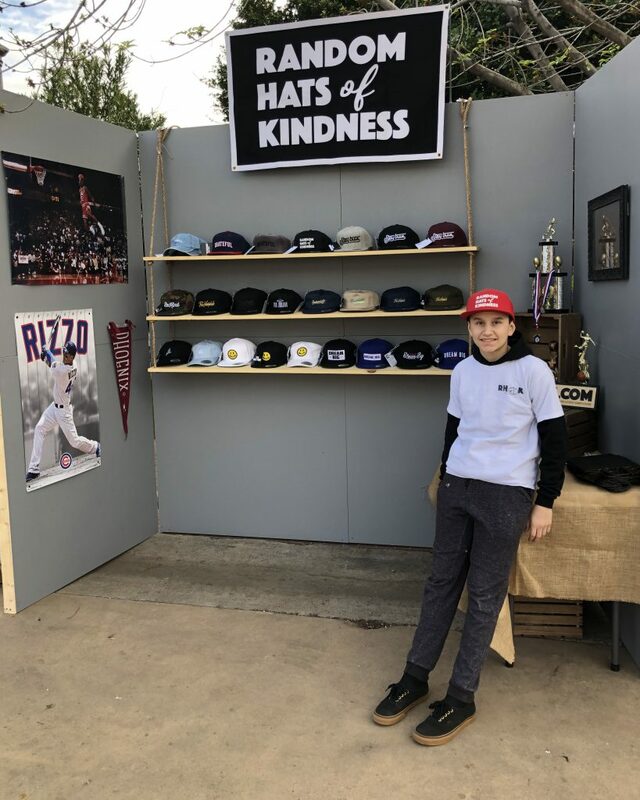 Our latest featured Kidpreneurs is Jayce McGuirk, a 13 year old kid with a penchant for spreading kindness. Along with his brother and step dad, Jayce designs and sells super cool hats with a purpose. Each comes with a “leave-behind” tag that includes a positive message and can be given to anyone to brighten their day. But Random Hats of Kindness doesn’t stop there. Jayce and the team donate 10% of the profits from sales to anti-bullying campaigns. We are so thrilled that Jayce agreed to provide an interview about his experience as a Kidpreneur and are honored to share it with all of you. Hi, Jayce! We are so honored to speak with you about your business endeavors and your journey through becoming a “kidpreneur”. First, can you tell us who or what inspired you to start “Random Hats of Kindness”? What inspired me was wanting to make the world a better place to live in. One day, I hope to live in a world where there are random acts of kindness happening everywhere and everyone is nice and loving to each other. What was the first business that you chose to pursue and what process did you go through to start it? What did you friends and family think? 1st: my brother and I wanted to start a hat company. 2nd: we we wanted to spread a positive message so we thought putting kind messages on our hats would be a cool way to spread these messages. 3rd. We presented it to my step dad Matt and he told us to write the plan on paper. We came up with a list of positive messages and sketches. 5th: we trademarked the name. 6th. We picked our 3 favorite sayings, made designs, and made our first round of hats, and have been going ever since. What obstacles, challenges, or setbacks did you face as you began to learn the in’s and out’s of entrepreneurship? I learned how much time and effort it takes to start a successful business and also how to use and put back all the money we earn into the business. The setbacks were over-ordering and learning what people like and don’t like. Another big challenge is putting systems in place so that things stay consistent. What kind of feedback have you heard from your customers/clients/community and how does this make you feel? I heard a lot of really positive feedback and it made me feel amazing and proud of myself and our company. It’s cool to see that people affected by bullying are especially touched by our product; that feedback is the best. Can you tell us about one of your proudest moments as a kidpreneur? One of my proudest moments was when I made our first donation to nobully.org to help stop bullying. My friends and family were proud and happy for me and really encouraged me along the way. They are by far my biggest supporters. What advice would you give to a young person who has the kidpreneur spark and wants to start their own business? I’d say go for it and give it all you got. And be ready for the time and effort it takes. The earlier you can start learning about business, the better. 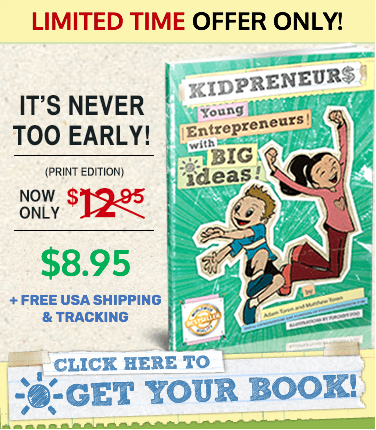 Who is another (or more than one) entrepreneur or kidpreneur that you admire and why? I admire Elon musk and how he is driven to change the world no matter the cost. What’s next for you, in terms of your goals, projects, and bucket list? I’d say to get out debt 100%, make a big difference in schools and bullying, and also to share the product with as many people as possible via mainstream media.